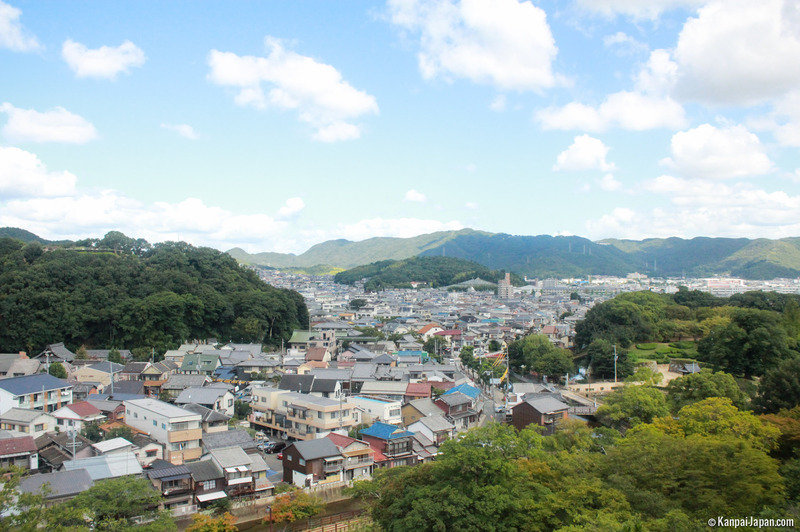 The good thing about Himeji, when you are a tourist, is that it is a rather small town and that the sights are all quite close to the train station. 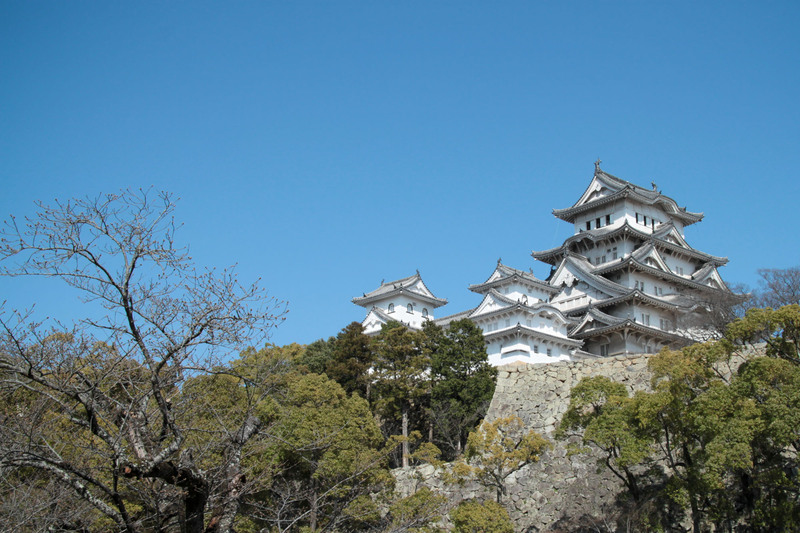 It is located east of Kyoto, beyond Kobe, in the Kansai region, and is very famous for its castle: the Himeji-jô. 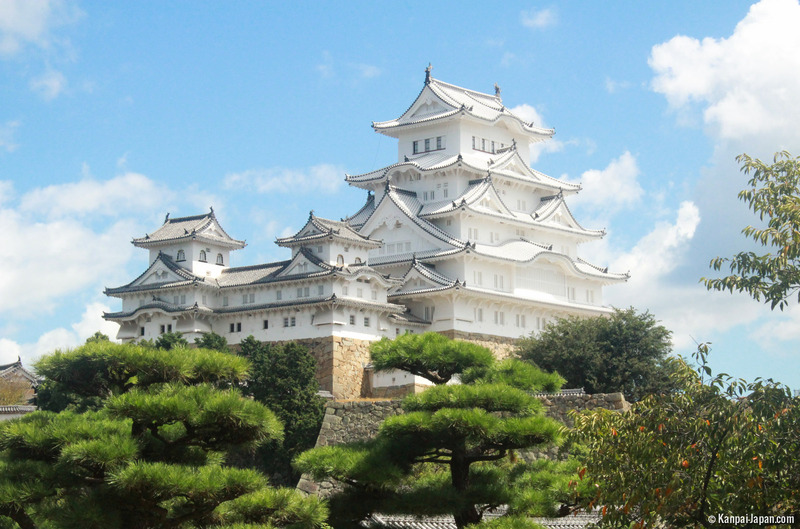 It is one of only 12 wooden castles in japan and was built in 1609; it has been listed as a Unesco world heritage site since 1993. 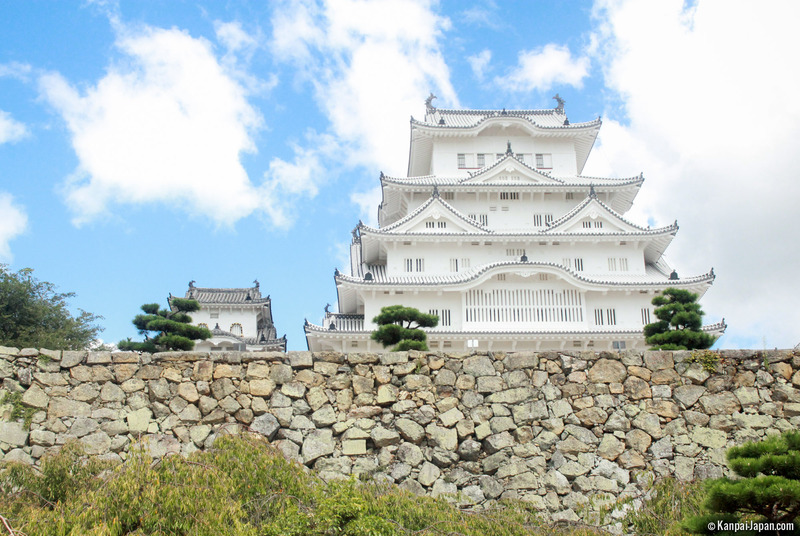 Himeji castle is located at a distance of less than one kilometer from the train station. 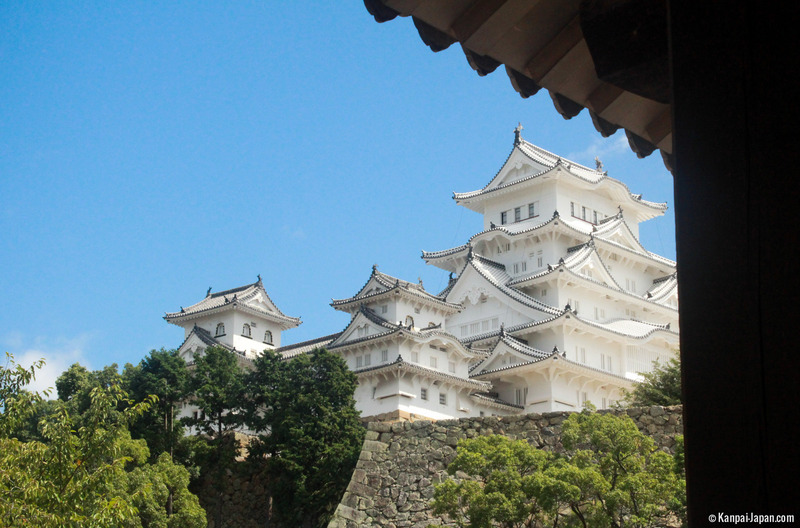 It stands in the middle of a large park which you may freely walk around although there’s an entrance fee to access the part closer to the castle. 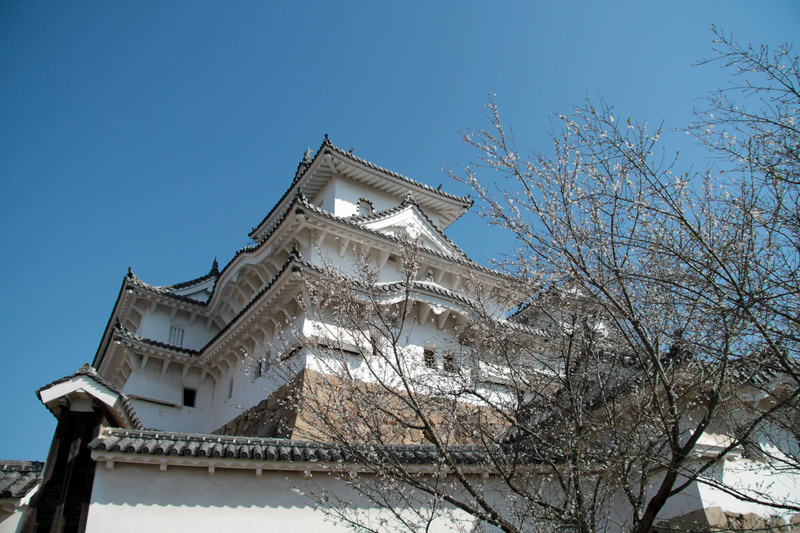 Inside the walls, you may take photos from up close and visit the castle’s six floors. 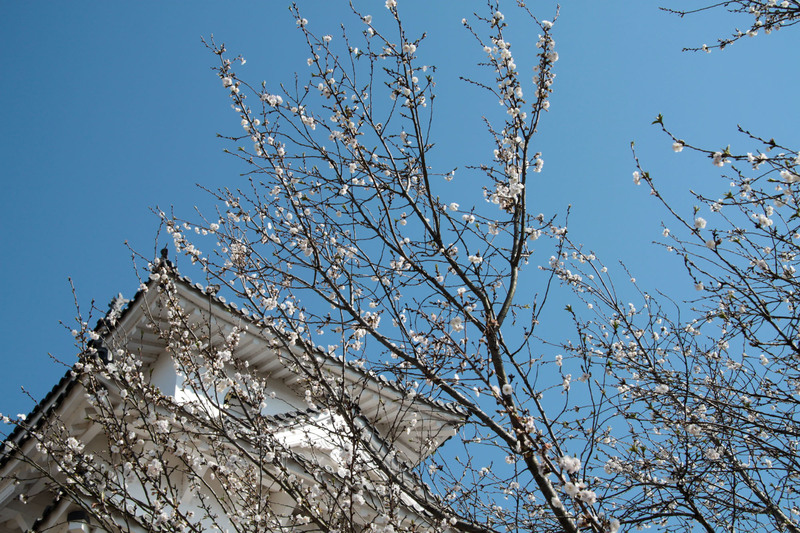 During your climb, you will notice that the floors are becoming less high, the steps steeper, and the ceilings lower. 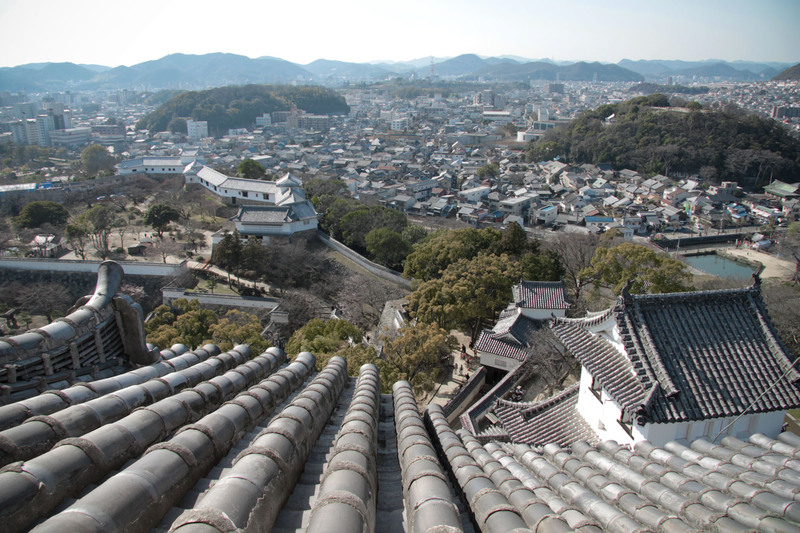 The small windows at the top provide an interesting vantage point over the town of Himeji. 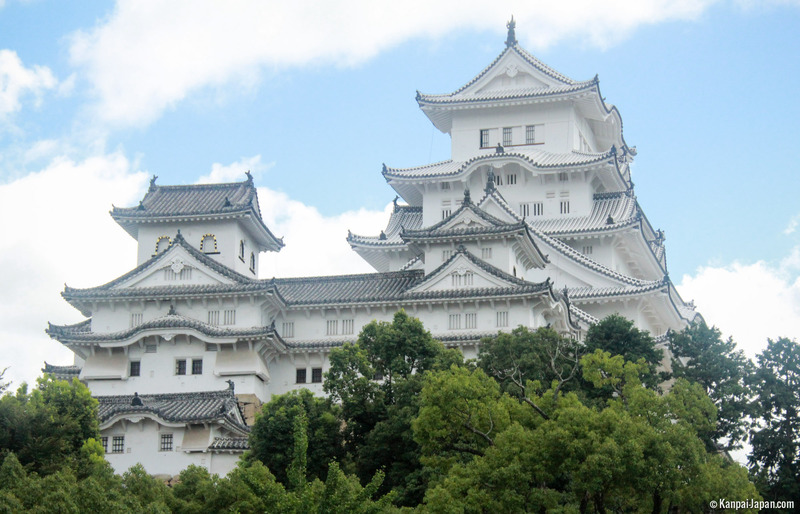 There are some shopping arcades on the way between the station and the castle, of the same type as those to be found in large Japanese cities like Osaka and Hiroshima. Some of those shops sell local products but many are souvenir shops all selling the same items at prohibitive prices. 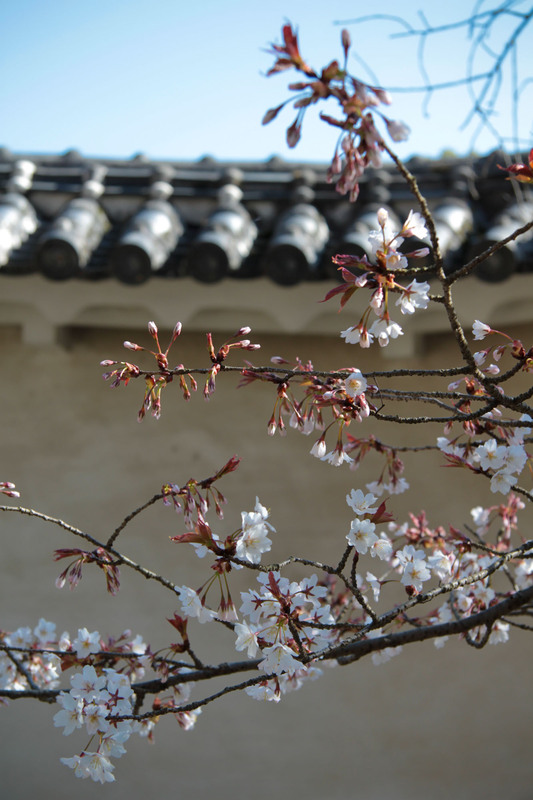 Around the castle of Himeji, there are a few other sites that are worth a visit, in particular the large and beautiful Kokoen garden (or Nishi-Oyashiki-Ato). 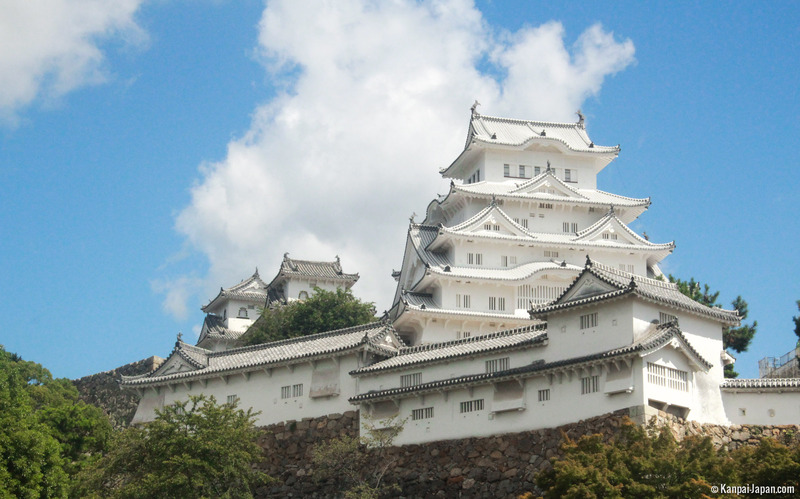 Many tourists however, and mostly the Japanese, mainly come to Himeji to visit the castle. 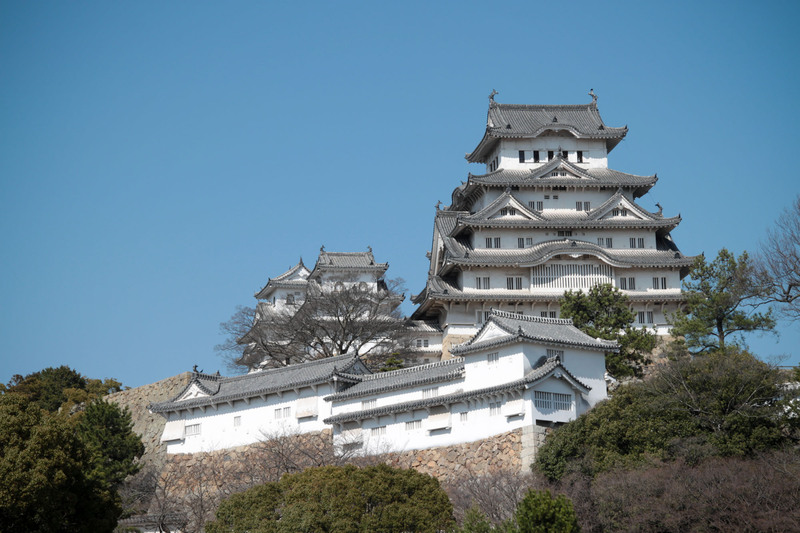 Between April 2010 and the March 27th 2015, the castle of Himeji underwent significant renovation work during which it was encased inside a more or less light-blocking sarcophagus. The cost of these works amounted to a total of 2.4 billion Yens (~US$ 21,443,888.50). For security reasons, town officials have decided to limit the number of daily visitors to 15,000. In 2015, it attracted 2.87 million yearly visitors. 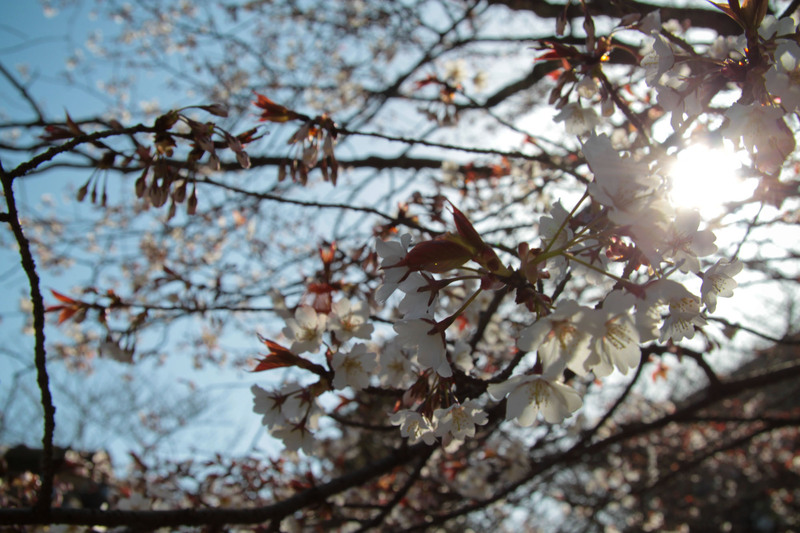 The photos below were taken back in 2010. 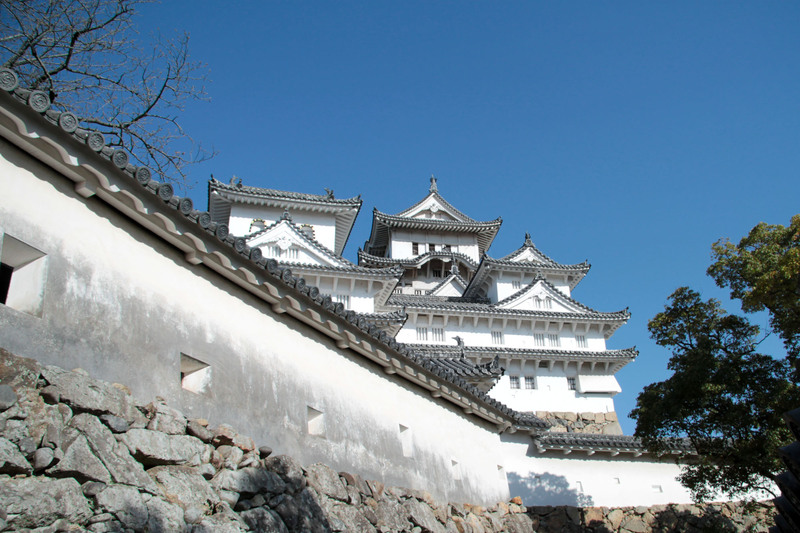 Since its renovation, the castle has been painted a dazzling white. 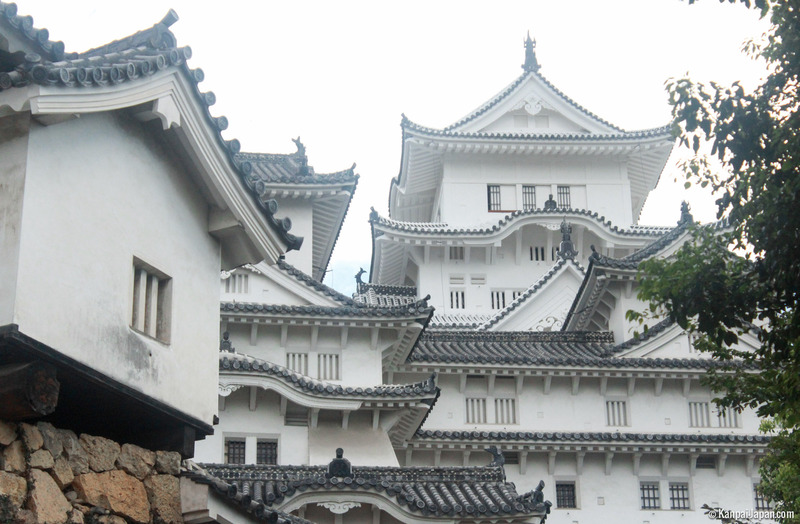 白鷺城 (Shirasagi-jo or Hakuro-jo): the "White Heron Castle"